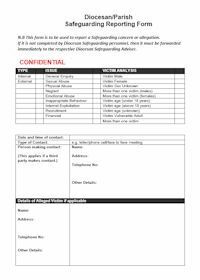 Safeguarding Leaflet may be downloaded HERE. 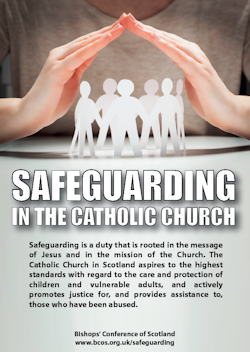 This leaflet outlines the Safeguarding efforts of the Catholic Church in Scotland, in terms of people and policies. 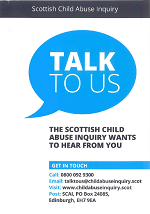 It also provide advice to anyone who has a concern about, or who receives an allegation of, abuse. Safeguarding Poster may be downloaded HERE. 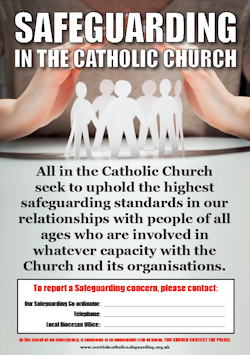 This poster will be displayed in Catholic Churches to provide contact details for local Safeguarding personnel.